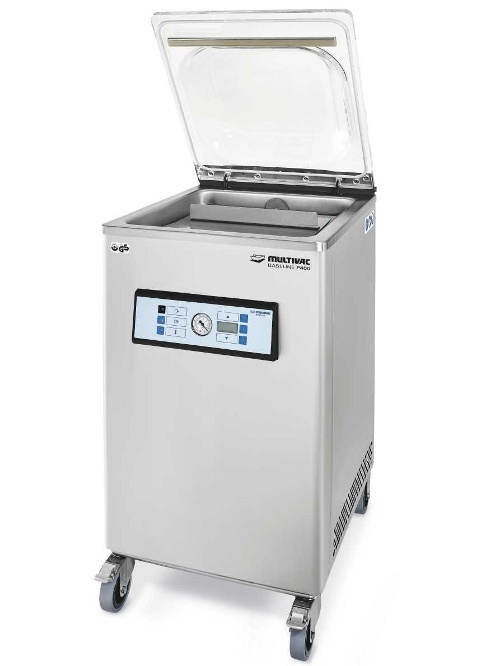 The BASELINE P 400 is the most compact free-standing chamber machine from MULTIVAC. 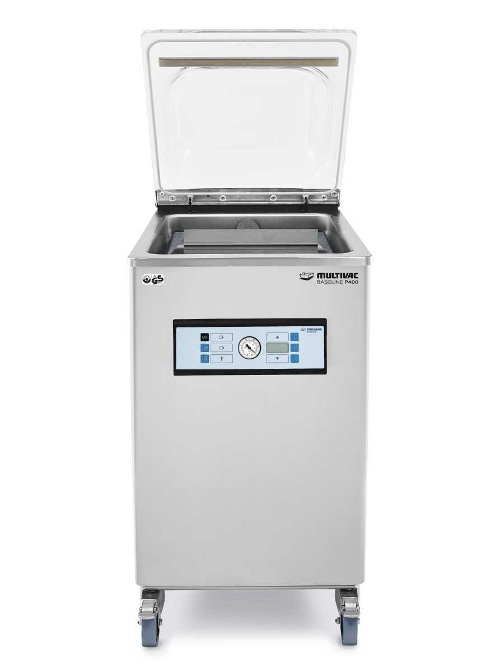 It features a sealing bar and is equipped with a pump with an output of 60 m3/h.<br> <br> MULTIVAC free-standing chamber machines in the BASELINE series can be used in a mobile fashion thanks to their movable floor stands and allow for fast relocations. 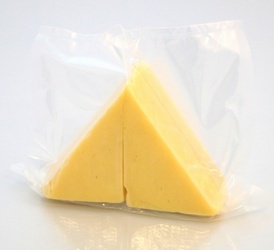 They are also suitable for packaging larger products. 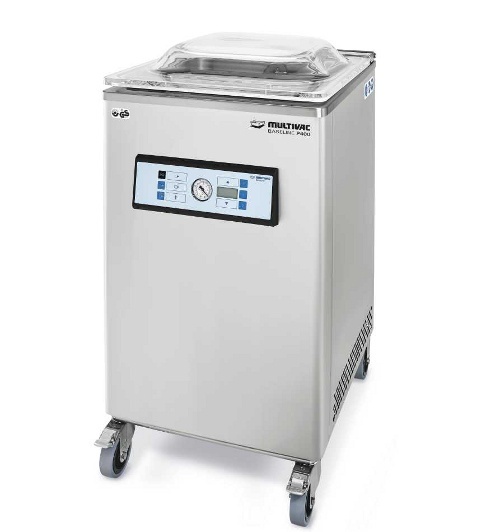 The vacuum machines are easy to operate, clean and service. They differ from models in the C series in their limited equipment options and simplified machine control. 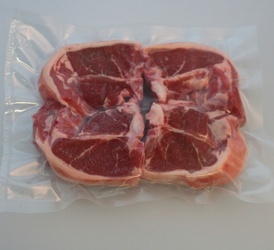 A completely transparent chamber lid permits a view into the packaging procedure. 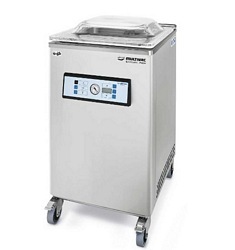 The BASELINE P 400 is the most compact free-standing chamber machine from MULTIVAC. 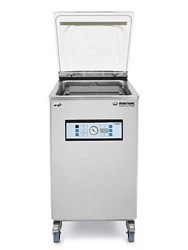 It features a sealing bar and is equipped with a pump with an output of 60 m3/h. MULTIVAC free-standing chamber machines in the BASELINE series can be used in a mobile fashion thanks to their movable floor stands and allow for fast relocations. 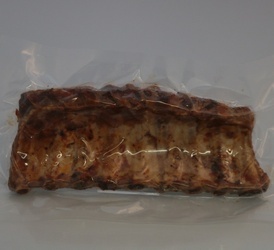 They are also suitable for packaging larger products. The vacuum machines are easy to operate, clean and service. They differ from models in the C series in their limited equipment options and simplified machine control. 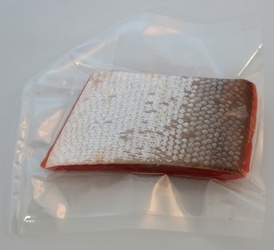 A completely transparent chamber lid permits a view into the packaging procedure. "The MULTIVAC is a crucial piece of any kitchen, but it is even more important in a small place, as you can spread the workload more efficiently. You are gaining on every count – saving money, spreading costs. 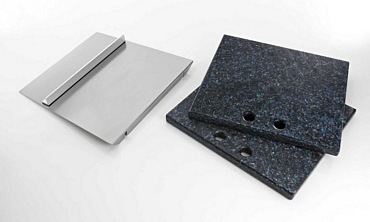 It is a must"
Our product portfolio covers almost all customer needs and includes vacuum chamber machines, deep-drawing packaging machines, tray sealer as well as marking and quality inspection systems and turnkey lines.